Don't let all of our services fool you! 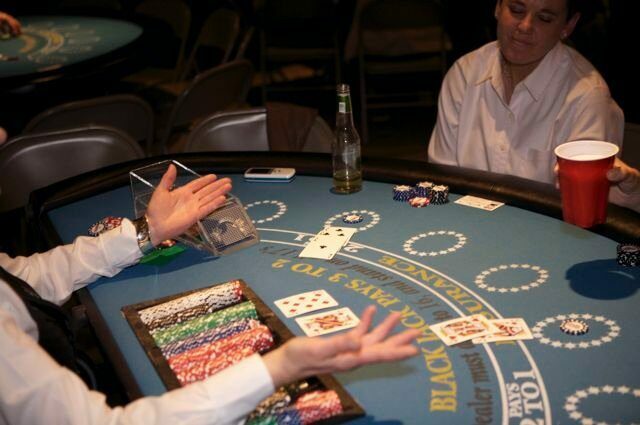 Colorado Casino Nights is first and foremost a stand-alone, FULL SERVICE CASINO ENTERTAINMENT COMPANY - offering you our dedicated staff and Colorado Casino Nights own great reputation for casino parties & events! 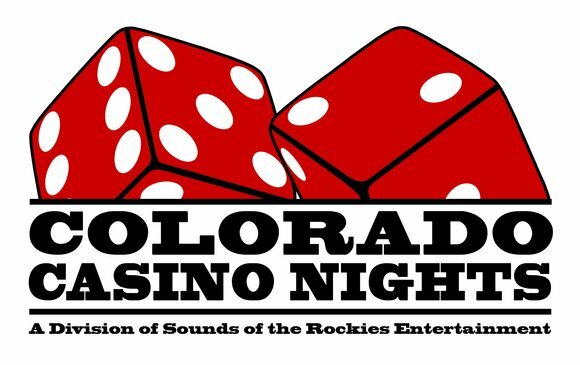 Colorado Casino Nights is the sister company - locally owned and operated by Sounds of the Rockies Entertainment Group. Serving Colorado since 1995, Sounds of the Rockies Entertainment Group offers Colorado Event Productions to provide you with the same service, quality and reputation that you provide to your clients -under one roof, one contact and one contract! In our dedication to provide first class service to our clients of each company and meet their requests of a ONE STOP SHOP for entertainment, DJ, MC, Photo Booths, Lighting Decor, Furniture and more... -COLORADO EVENT PRODUCTIONS was born! Each company we own and operate runs seamlessly alone or all together to form a ONE STOP SHOP we bring to any event - known now as Colorado Event Productions! Disc Jockeys | Photo Booths | Decor Lighting Options | Casino Table Lighting | LED Accent Furniture | Lounge Furniture | Fabric | Extreme Activities | Mechanical Bulls | Game Rentals | Interactive Events | Mobile Ropes Course & Zip Lines | Classic Carnival Games | SO MUCH MORE!! Please visit ColoradoEventProductions.com or each company website (links) for more information on our services and all companies combined! Sounds of the Rockies Entertainment Group, LLC is a fully registered and insured mobile entertainment and production company. All company services provided any represented companies are owned and operated by Sounds of the Rockies Entertainment Group and operated by their employees (not sub-contracted). Event Production & Entertainment Services For Every Special Occasion! SOUNDS OF THE ROCKIES - Mobile DJ, MC and Entertainment Services for any & every type of Event! GO NUTS PHOTO BOOTHS - Add a Green Screen Photo Booth to any Event with your logo and background choices! COLORADO EVENT PRODUCTIONS - Event Lighting & Design, Lounge Furniture, Fabric and more! AIRBOUND Colorado Extreme Entertainment - Do you want to impress your company or their entire family? Check out Airbounds list of things to do! Zip Lines, Peddle Carts, Inflatables, Water Walker Balls, Dunk Tanks and More!